Being awarded a black belt in any martial art is often seen as a mark of proficiency. A black belt in some schools can take over ten years to achieve. Black belts today can be something of a commodity handed out in less than a year in some of the most commercial of dojo, in aikido dojo though black belt marks not an expert but a serious beginner. While there is still a kind of one upmanship between dojos to have the toughest black belts by grading a little more slowly, yet other schools award a black belt a bit quicker than most in an effort to compete in a crowded black belt market place. 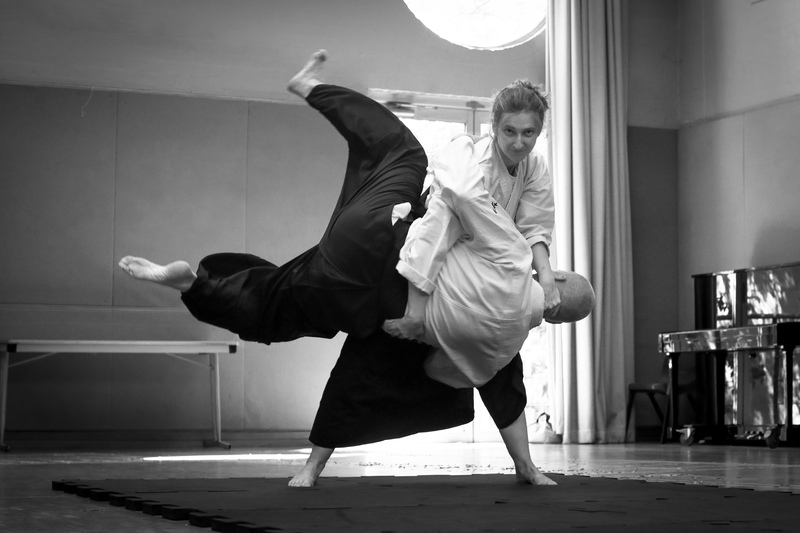 Fortunately aikido is still largely free from handing our black belts just for turning up. Even so many people leave the art of aikido just before reaching Shodan (black belt) or just after reaching black belt for these reasons. Gaining black belt is confronting as the realisation of just how far short of expertise one is when reaching black belt is tough to deal with. For others reaching black belt reaches a goal oriented target and after black belt continuing just looks a bit too damn hard. After black belt there are little in the way of awards, its a minimum of 2yrs to second dan and you don’t even get any strips for your efforts :(. By Shodan you have probably been taught most of the syllabus and there is little that is ‘new’ in each class, instead the black belt must take on responsibility for their own learning more and more. Increasingly the motivation and decision to learn must come from self, rather than others. To take up this challenge isn’t easy! Some an idea or interpretation of aikido and use it to reenergise the form, go get some fresh eyes and explore through a seminar in the same or another school, go to another art and look for the insights the other art can give aiki, and that aiki gives on that art. Traditionally Shodan manes ‘first step’ and you are now ready to be a student. As a we progresses through the art and the dan grades its important to remember the belts become less about self and more about a growing responsibility to the school that has awarded them. This may mean opening a dojo, teaching the art, serving the school in other ways such as hosting seminars, producing books, dvd’s and writing about the art, but above all a commitment to regular practice. I’m moderately certain I’ll learn many new stuff right here!